In this image, the scarf has been folded; you're seeing a quarter of the full scarf. 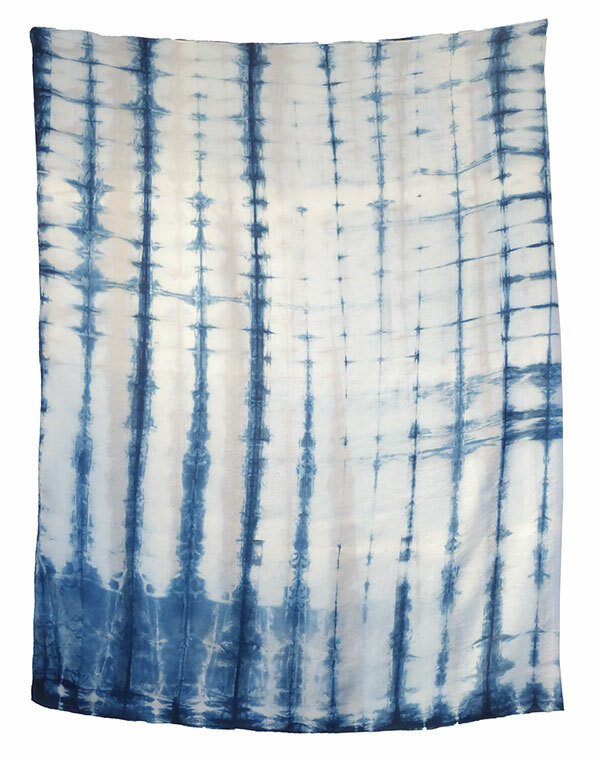 This scarf was dyed in an indigo bath, using a simple clamping technique. © 2006 Colorquilts. All rights reserved.